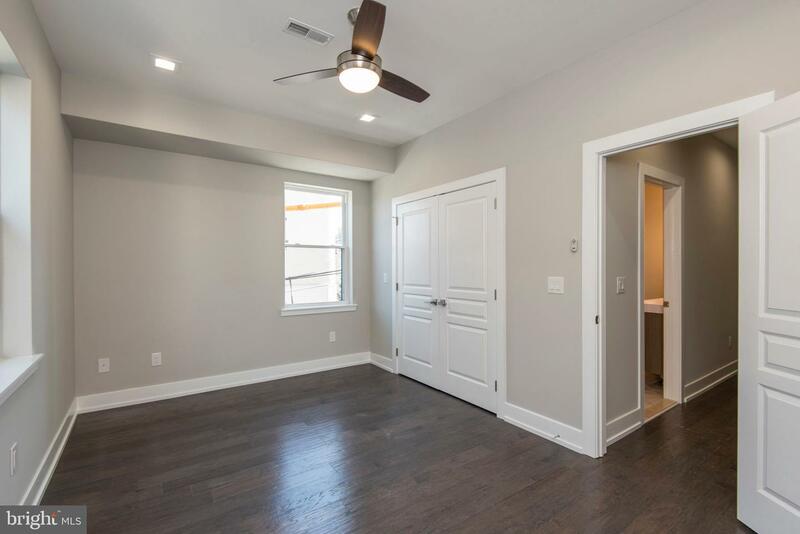 Gorgeous Corner Property! 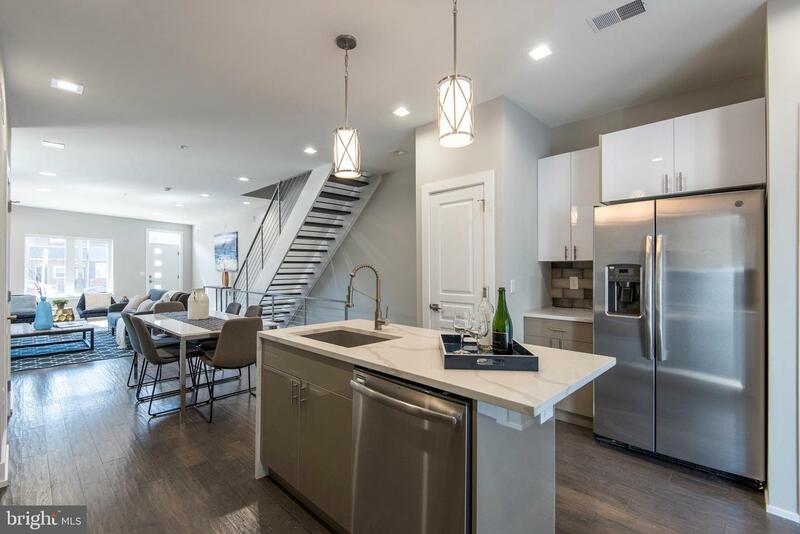 Luxury living awaits you in this 19' wide new construction residence, perfectly located in what Forbes Magazine calls 'America's Hottest New Neighborhood'. 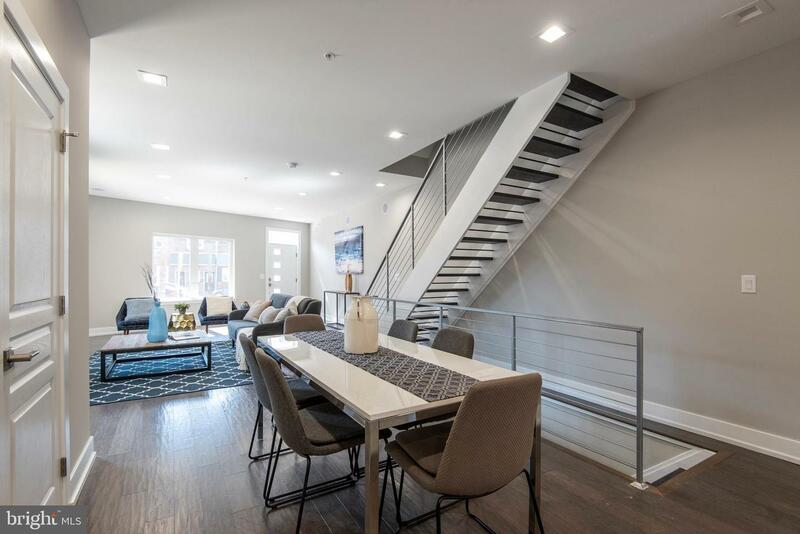 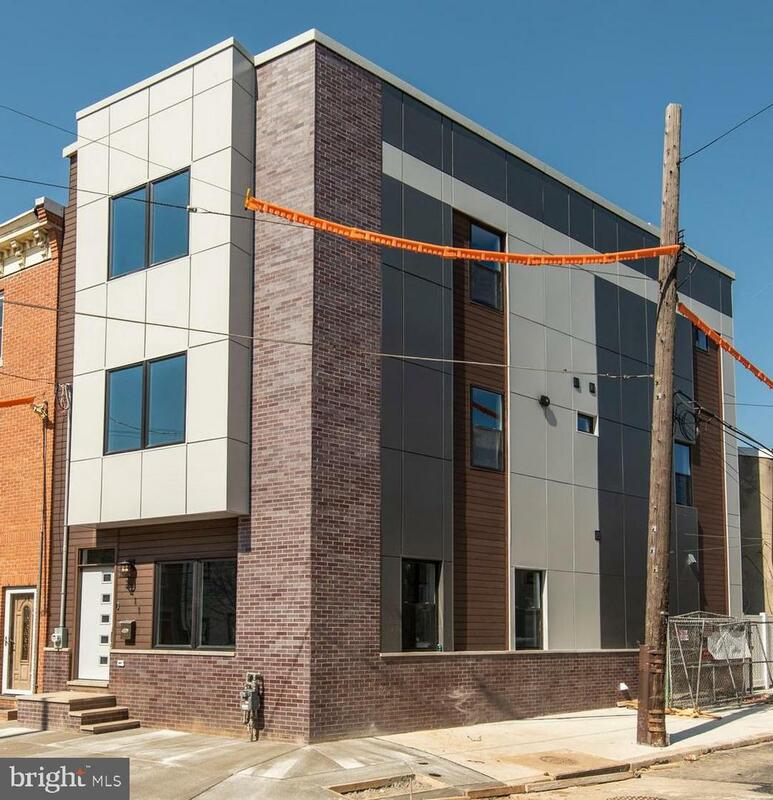 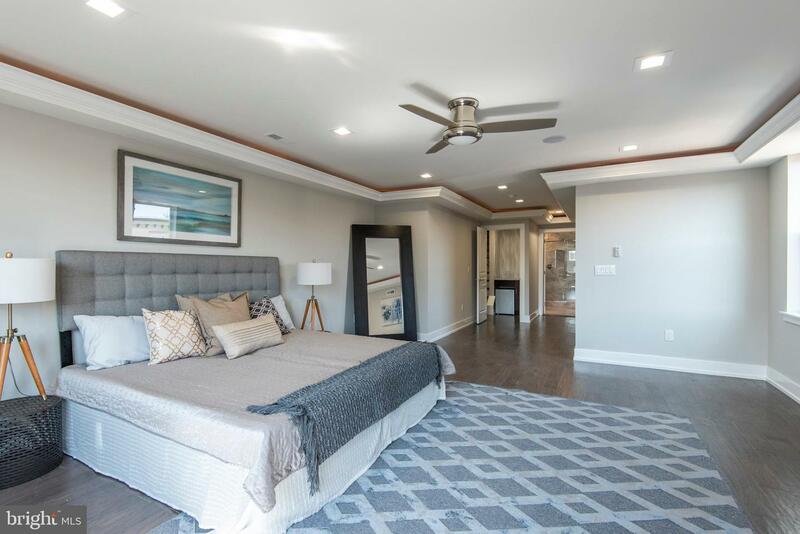 This 4 bedroom, 3.5 bathroom masterpiece features over 3400 of perfectly mapped out living space coupled with customizable luxurious finishes and a rooftop deck with speaker system. 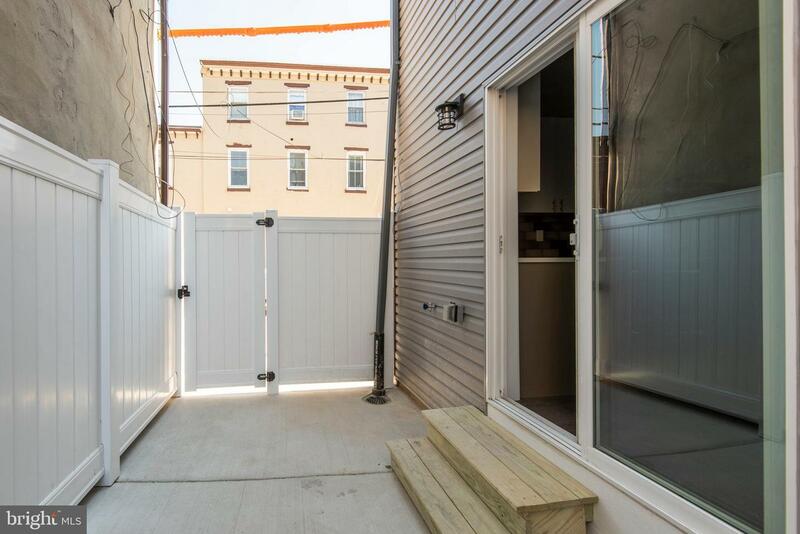 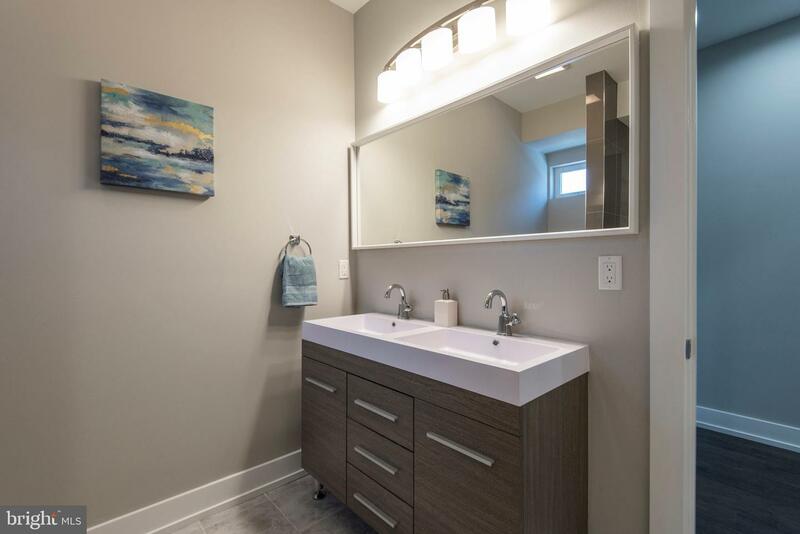 The home was meticulously designed to meet the needs of the savviest owner. 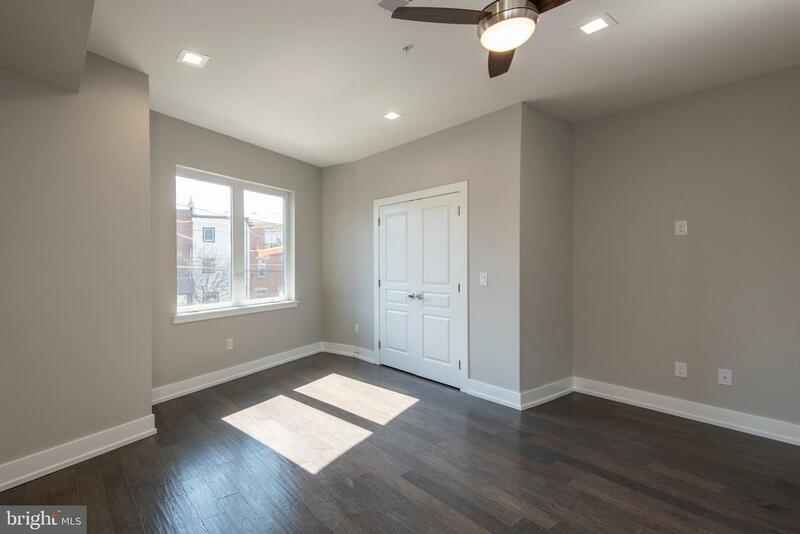 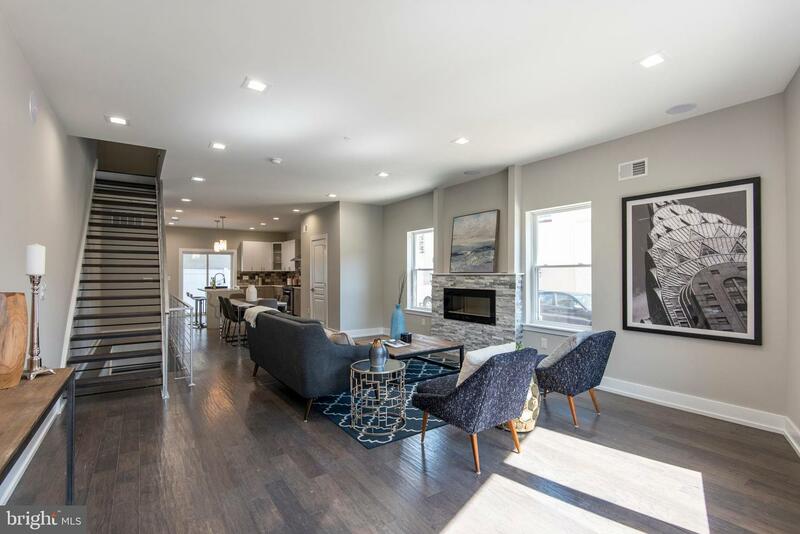 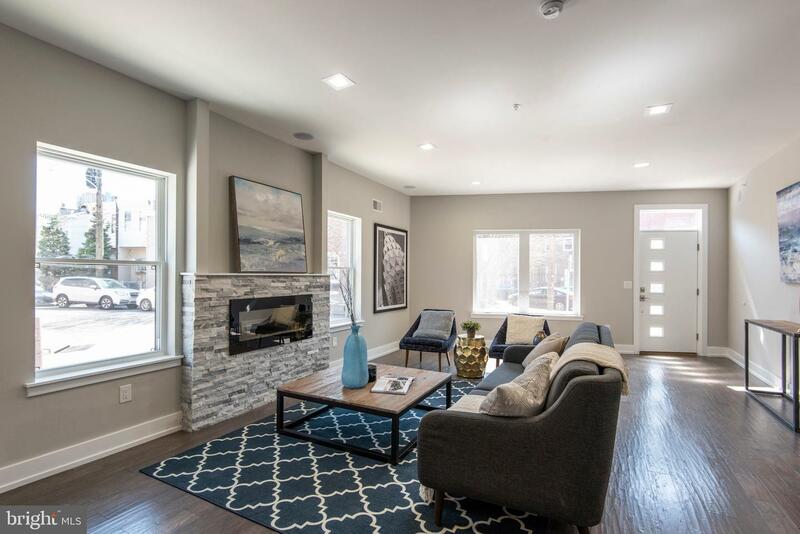 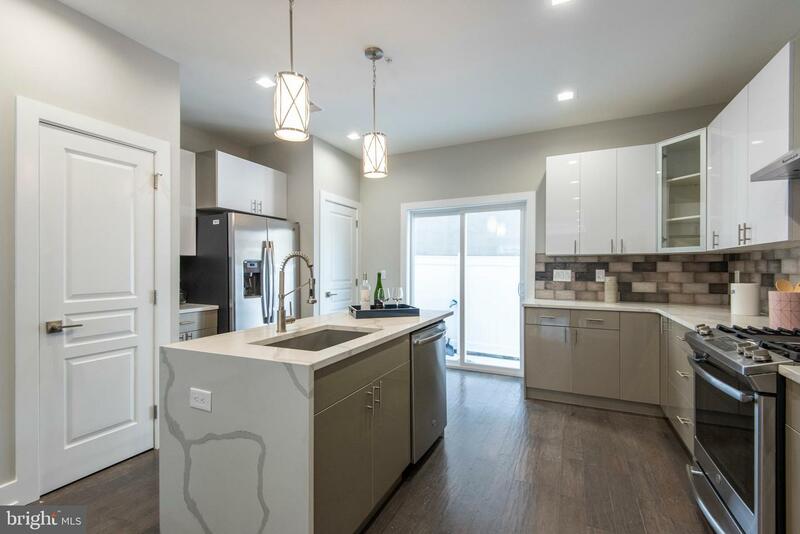 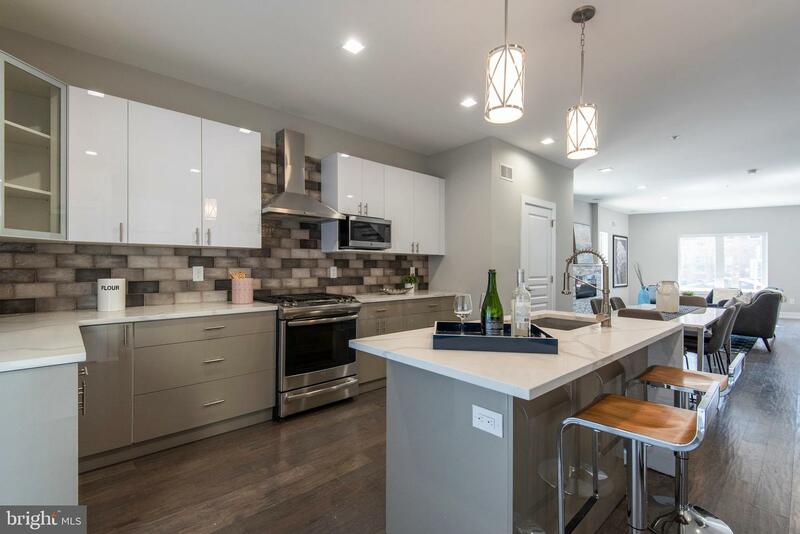 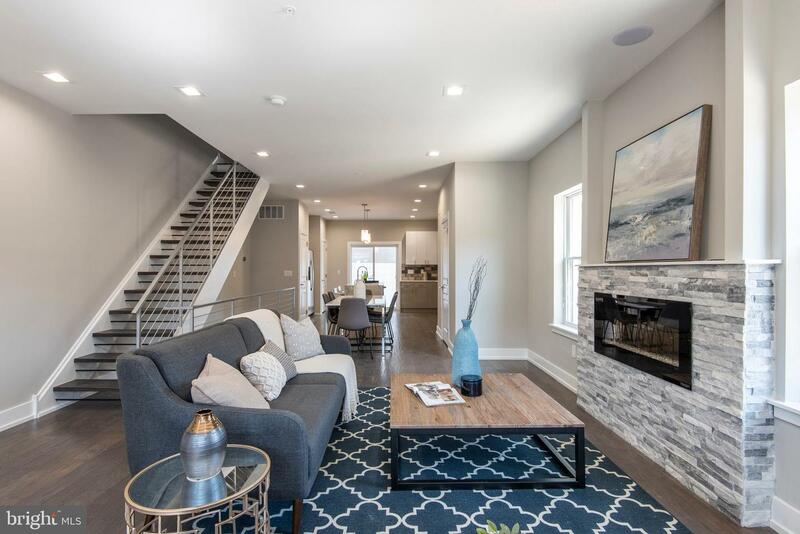 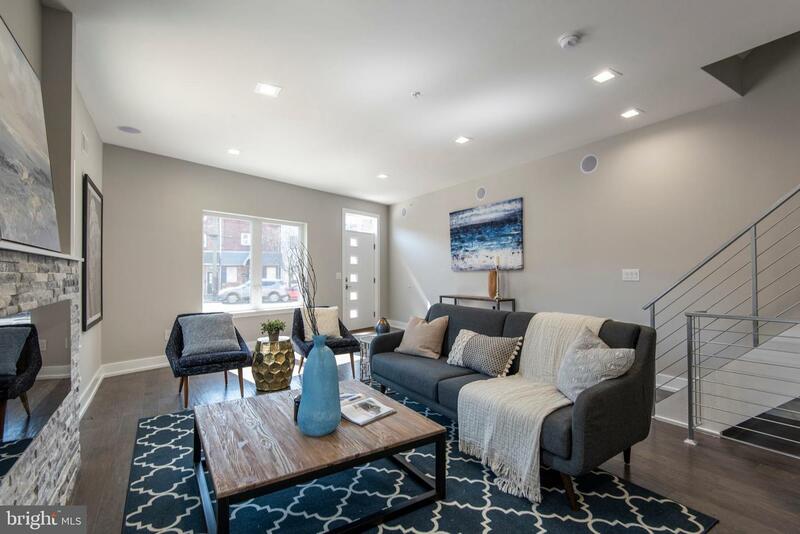 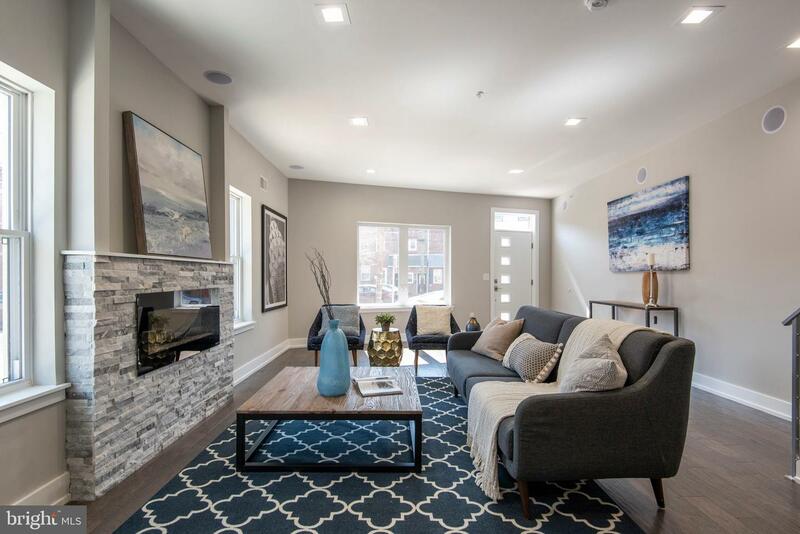 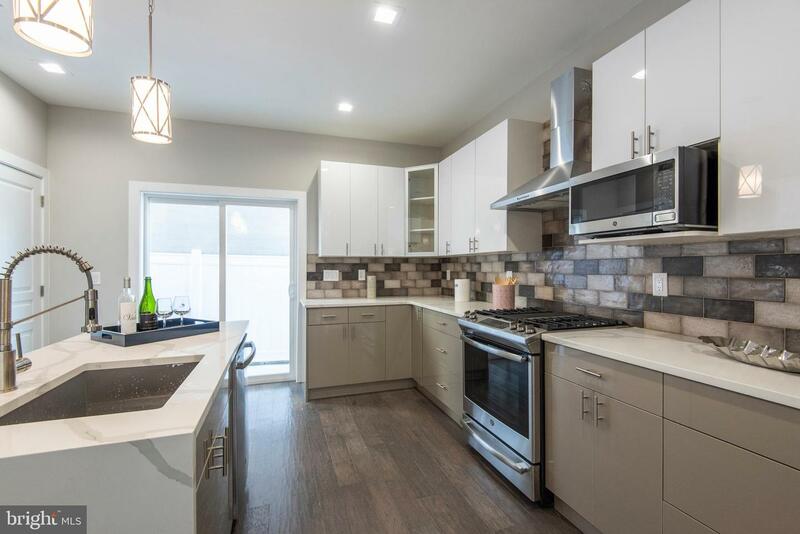 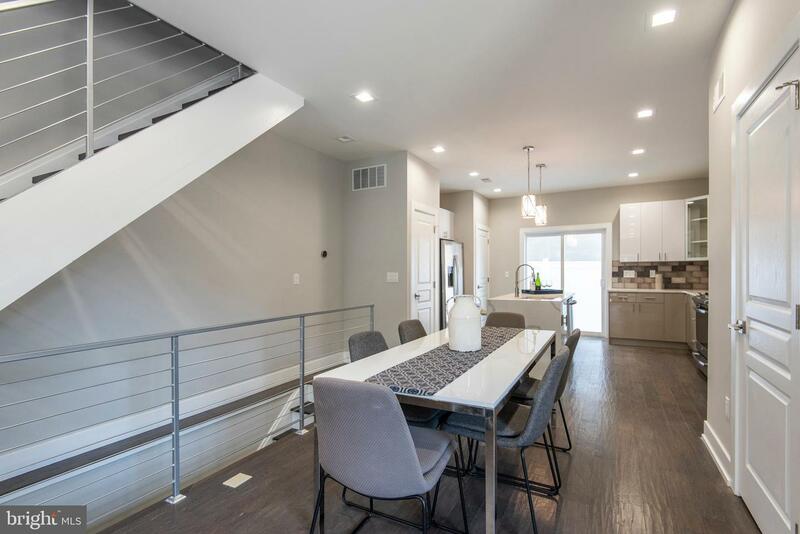 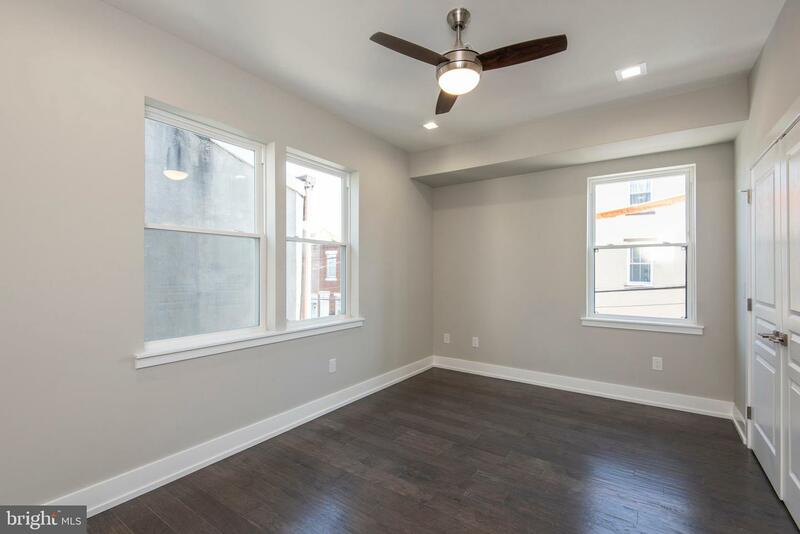 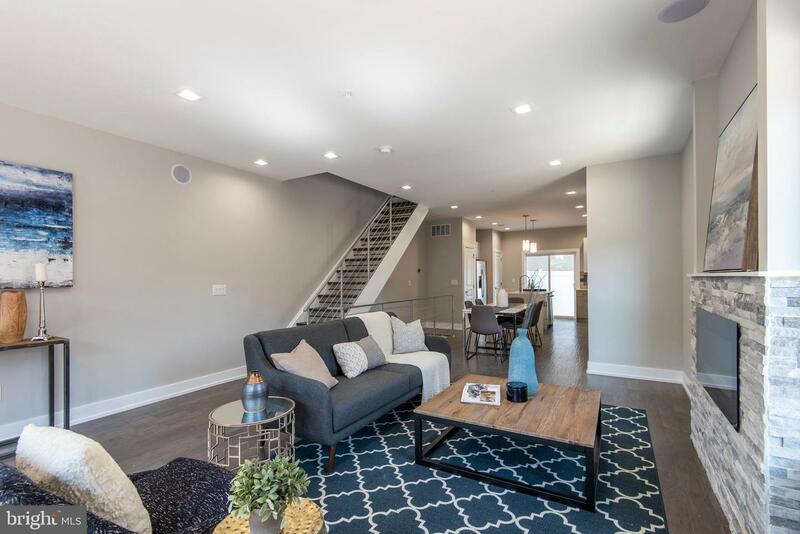 This open-concept style home features wide plank hardwood flooring, recessed LED lighting, nest doorbell, a fireplace and 10' ceilings on the first floor. 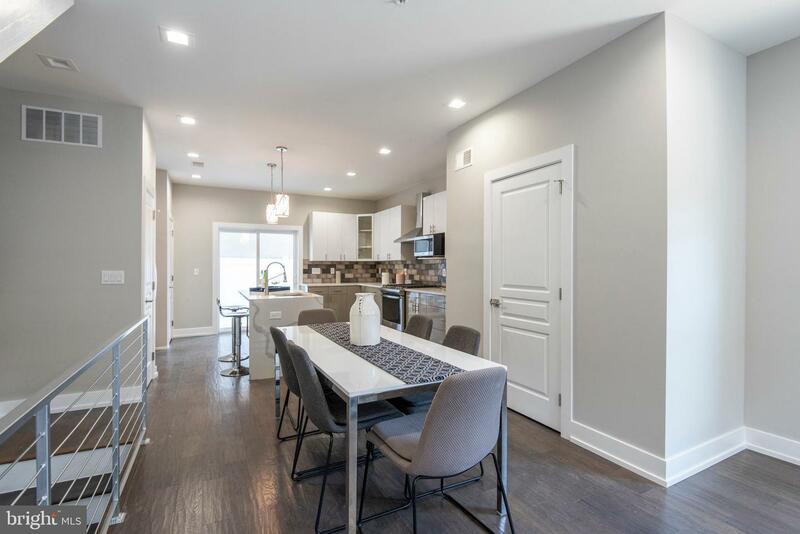 The living room/dining room combination flows to a modern kitchen complete with high gloss lacquer cabinetry, quartz waterfall island with seating, tile backsplash, and stainless steel appliances. 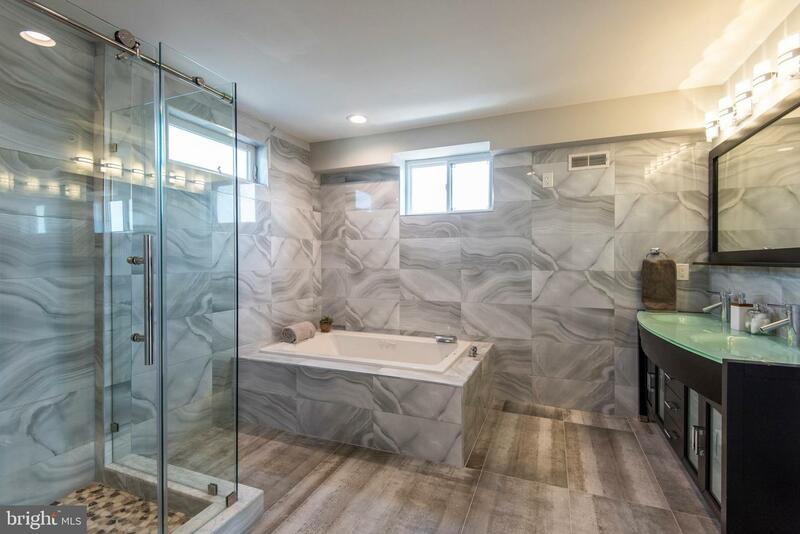 Head up your floating staircase, where you will find 2 very spacious bedrooms with ample storage space and a hallway bathroom featuring a tiled wall bathtub. 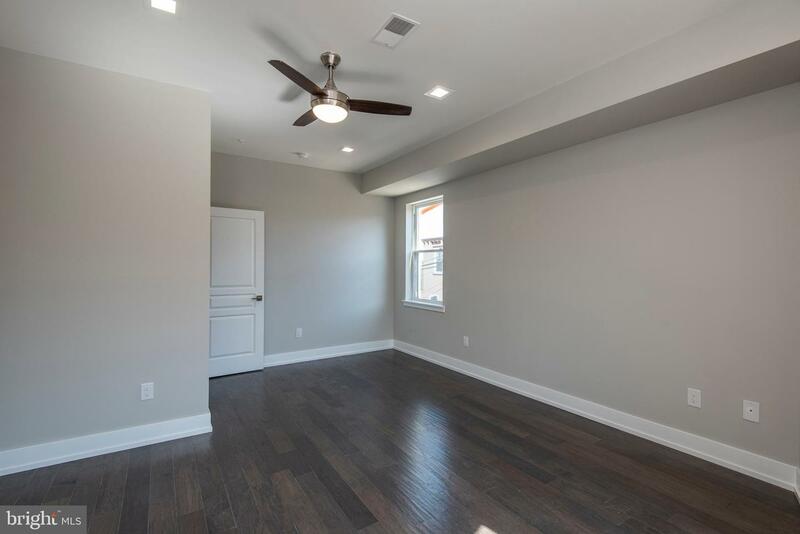 Another floor up and be greeted by a spectacular master bedroom with tray ceilings and a phenomenal en-suite. 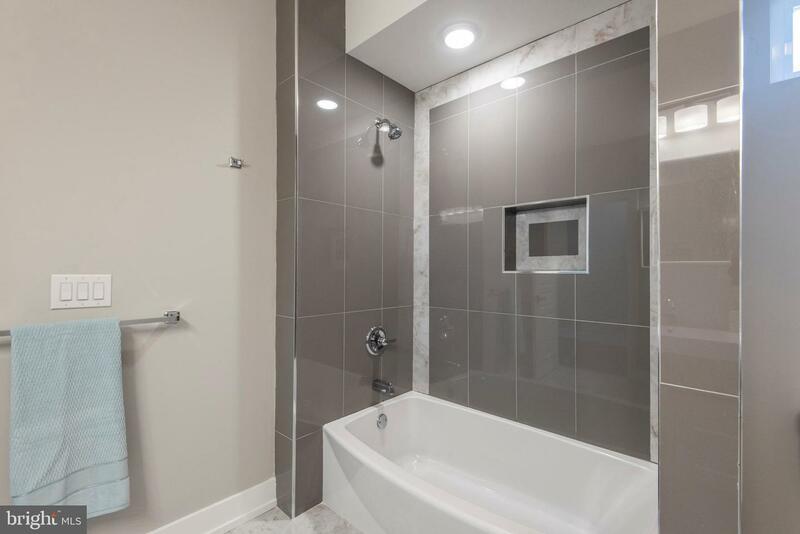 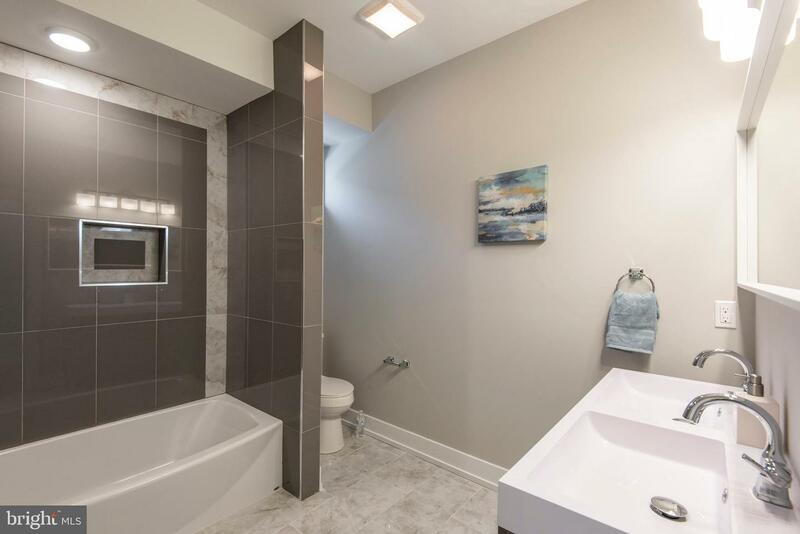 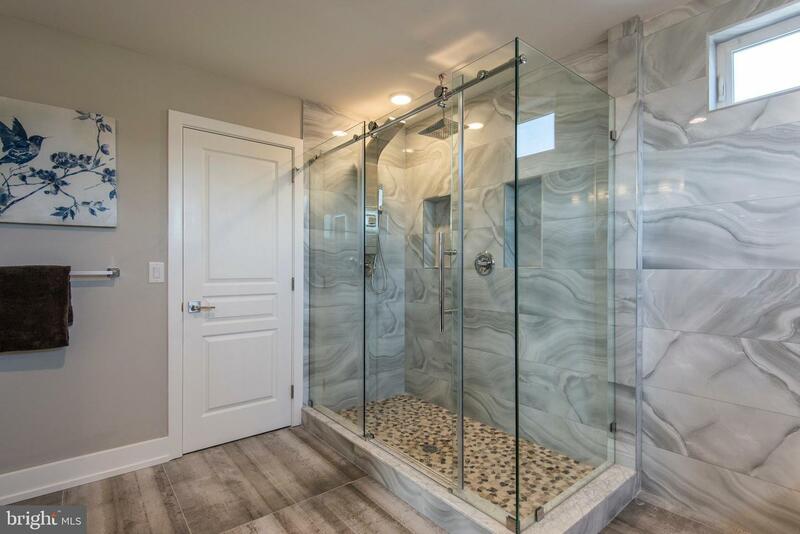 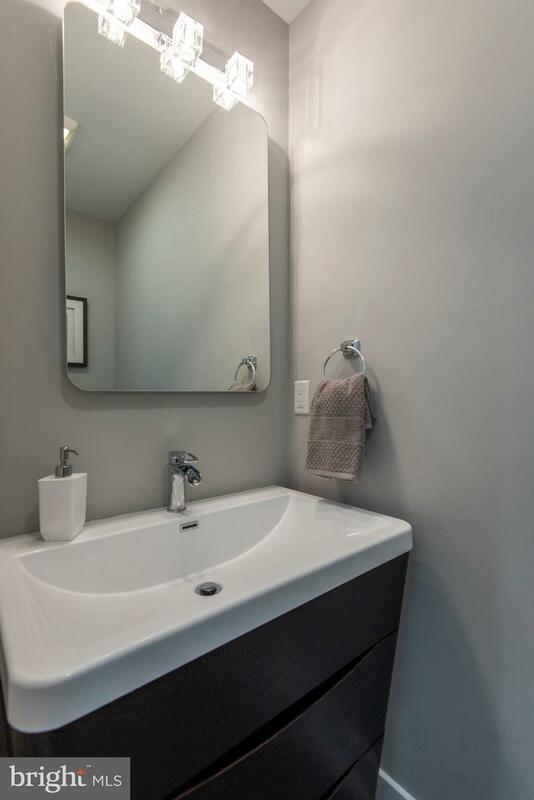 The en-suite features a frameless glass door stall shower, jacuzzi tub and double vanity. 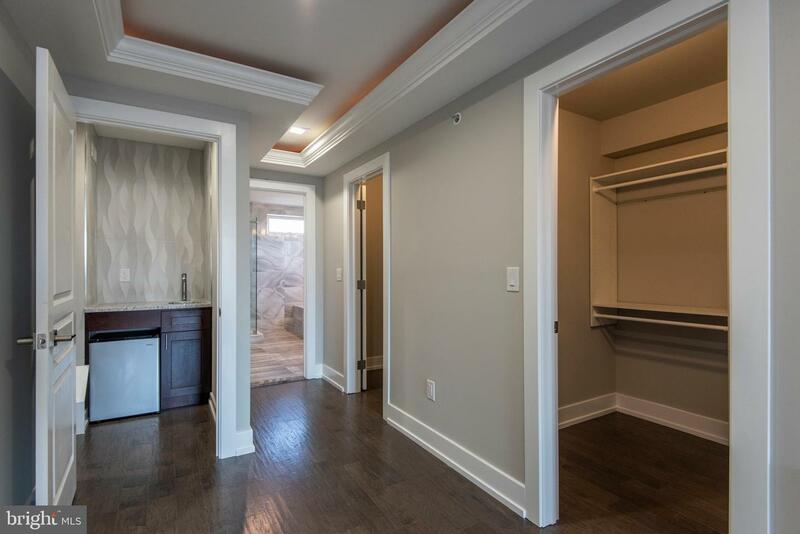 Your master bedroom is complete with 'his and hers' walk-in closets and a wet bar. 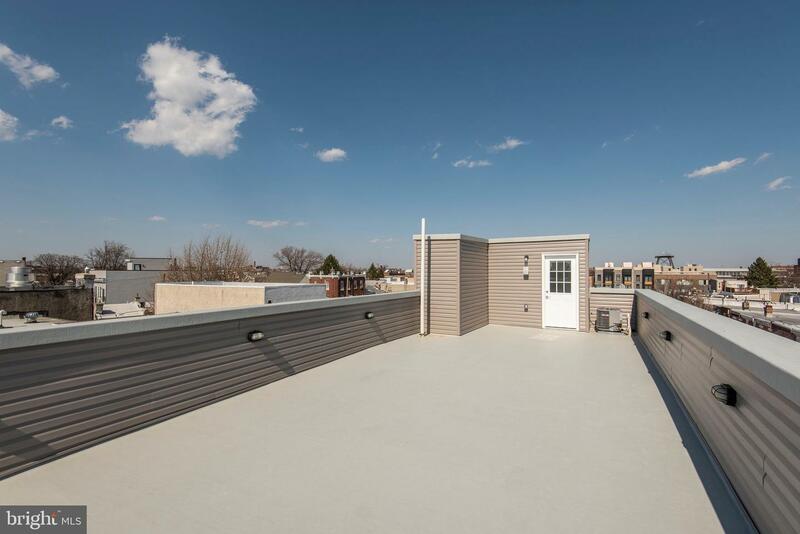 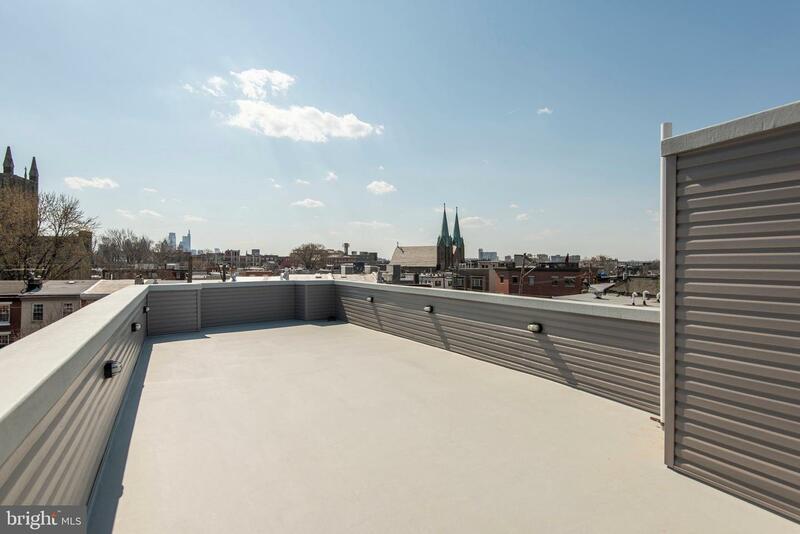 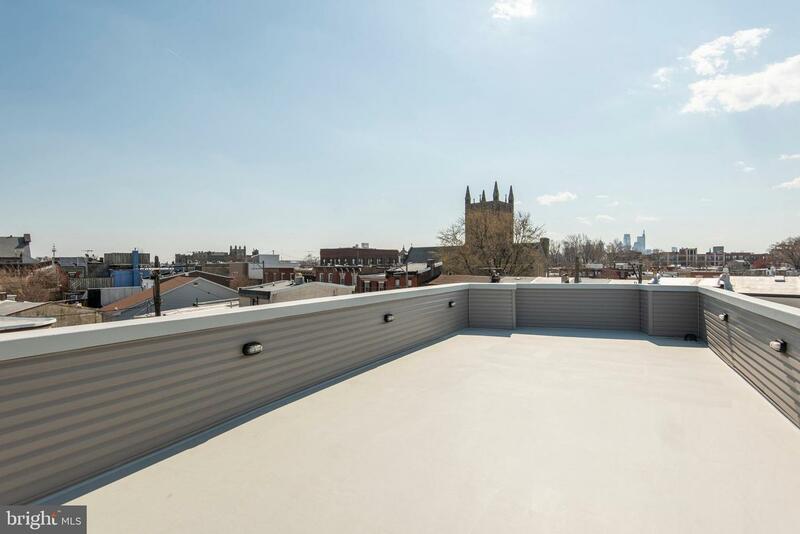 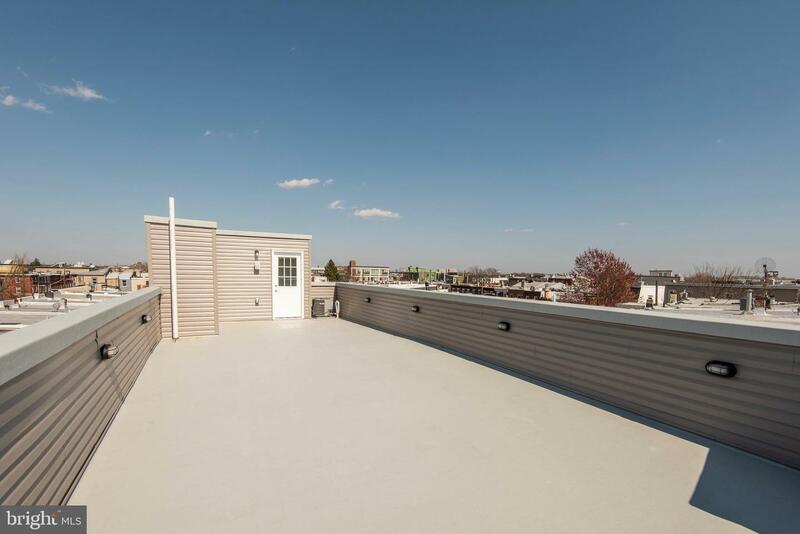 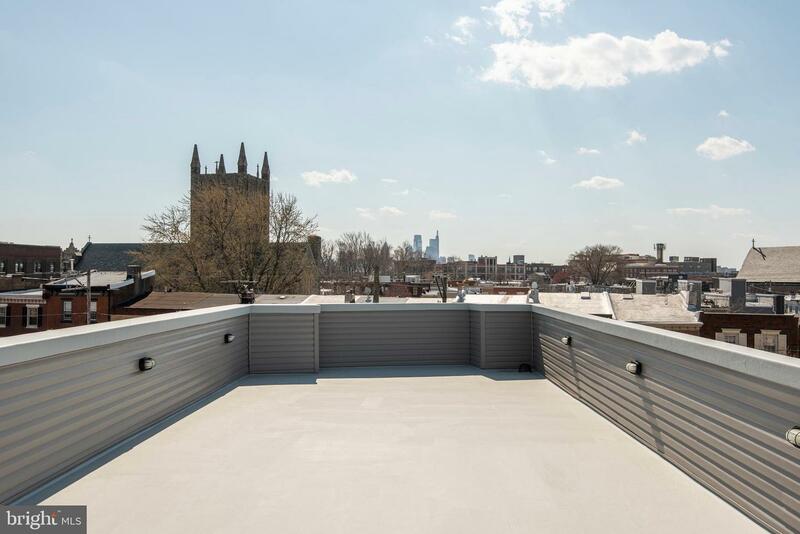 The roof deck is spacious, has the ultimate view of the city and will please all your entertaining needs. 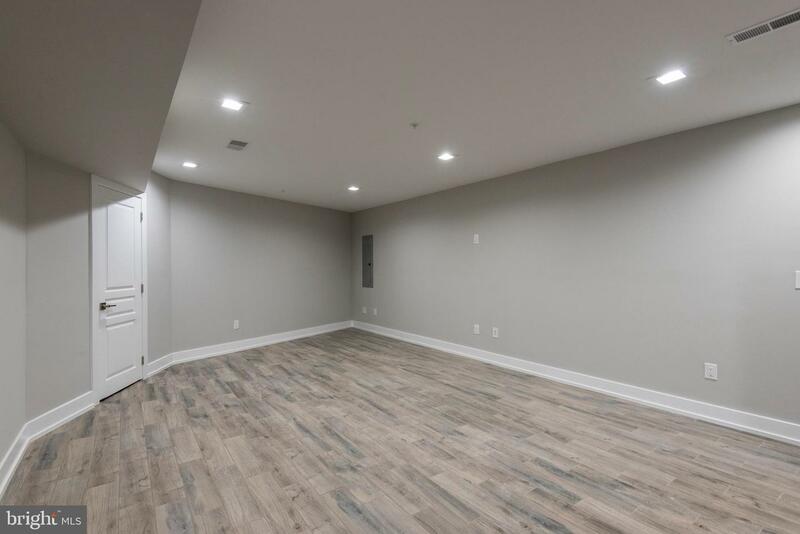 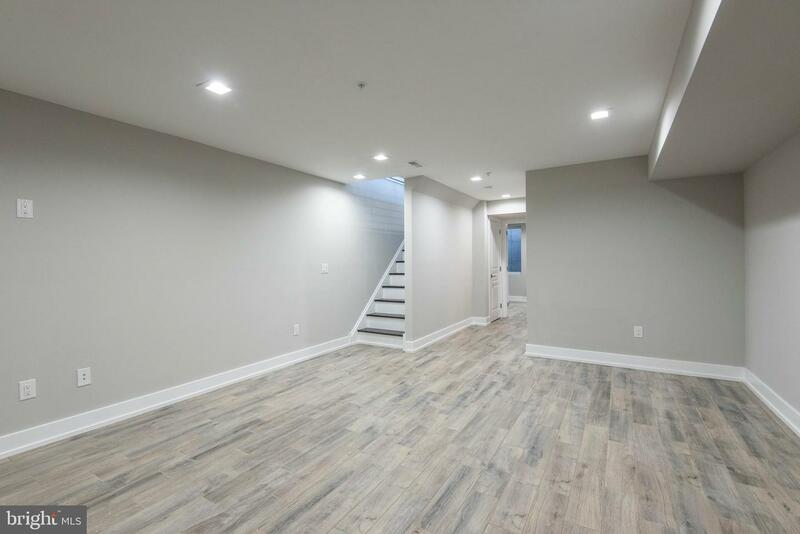 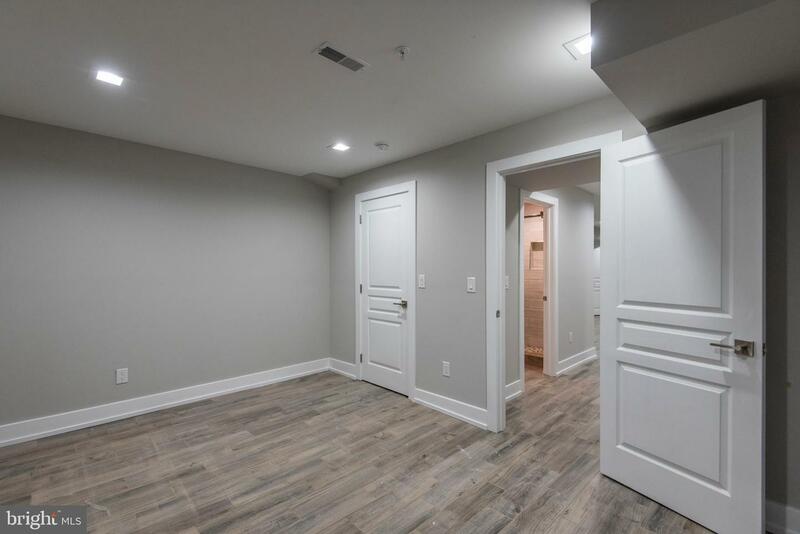 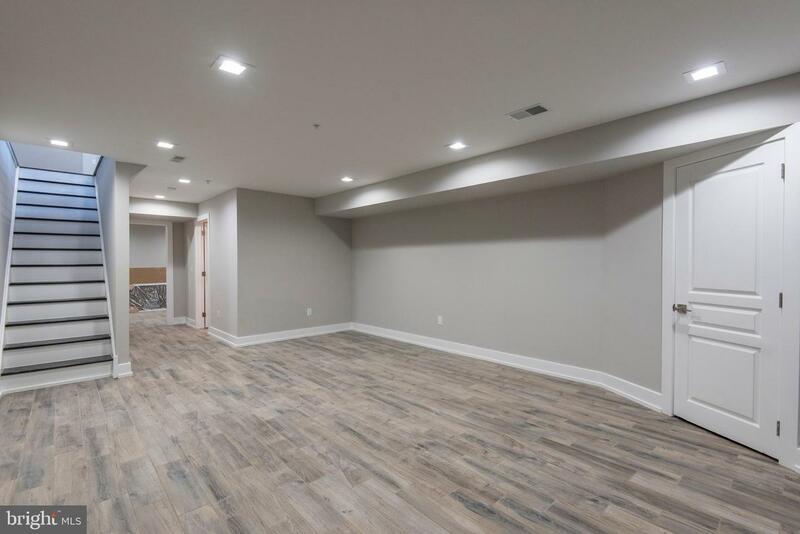 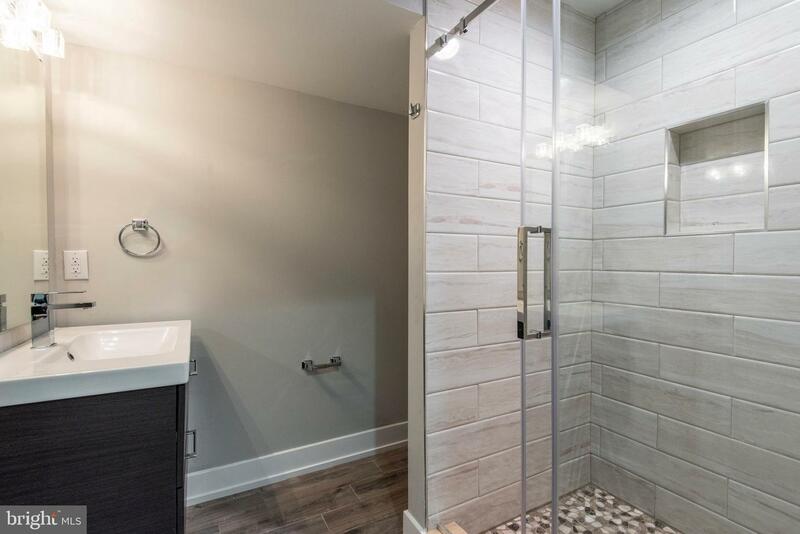 Your basement doubles as an in-law suite with a full bathroom including a shower stall, a bedroom and additional open living space. 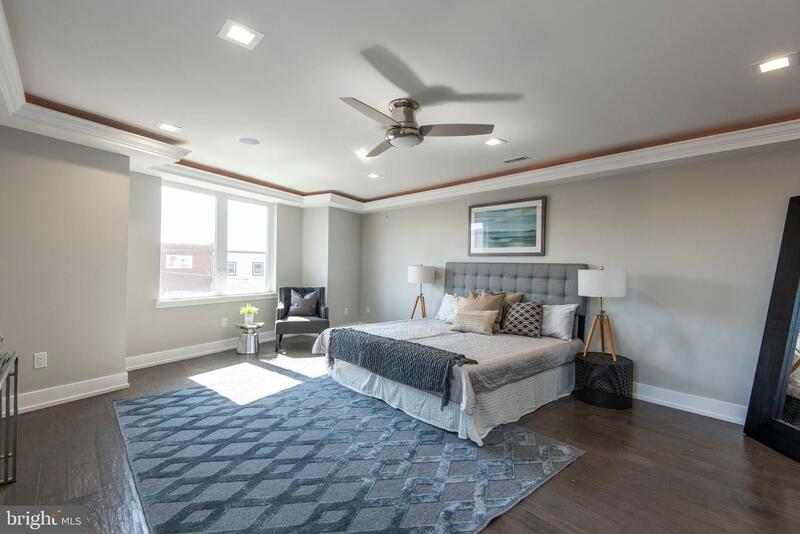 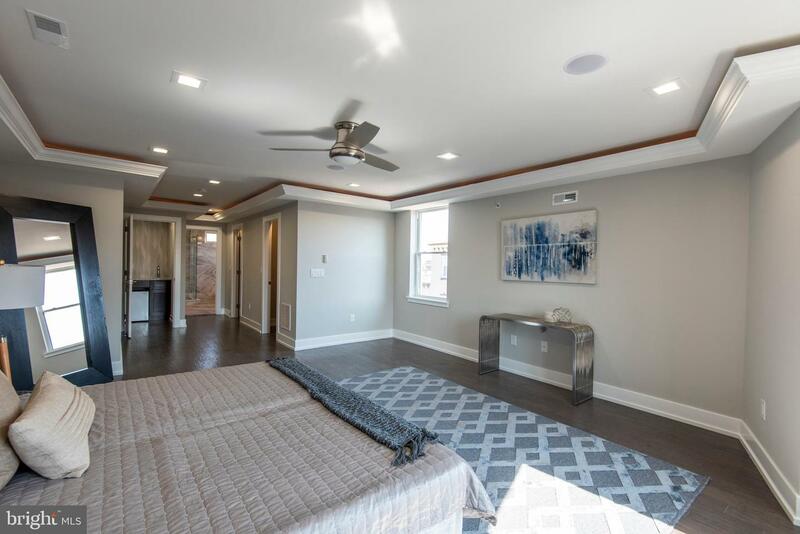 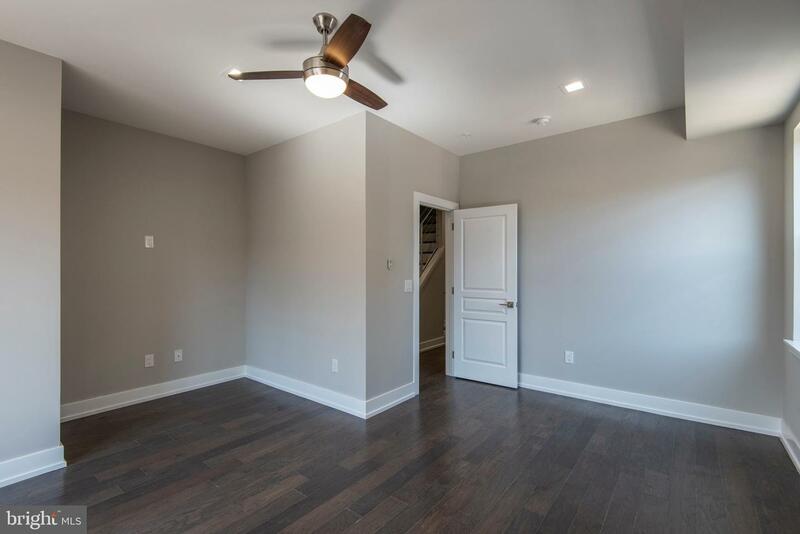 This exquisite home also features dual A/C units, high efficiency nest controlled HVAC system, surround sound on first floor through the master bedroom and bathroom, 10 year tax abatement and a one-year builder warranty. 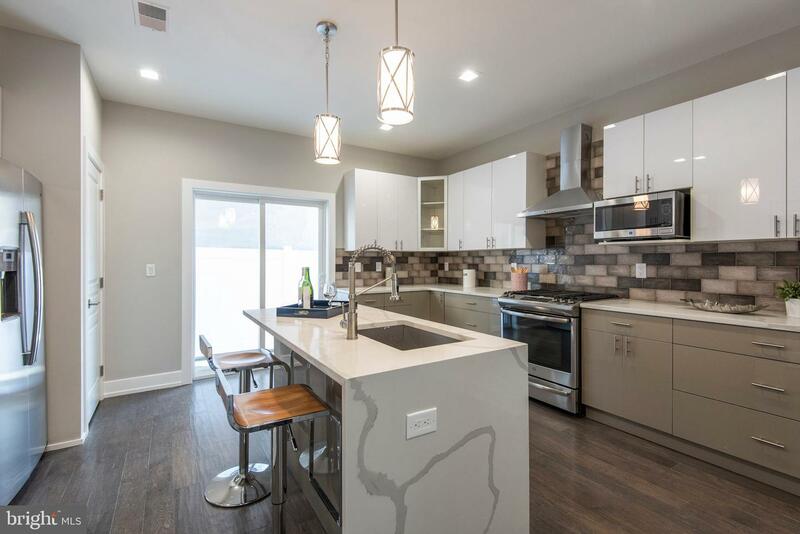 The location features delicious farm to table restaurants - Reanimator, Loco Pez, and Cedar Point directly across the street and steps away from Green Eggs and Medusa Pizza. 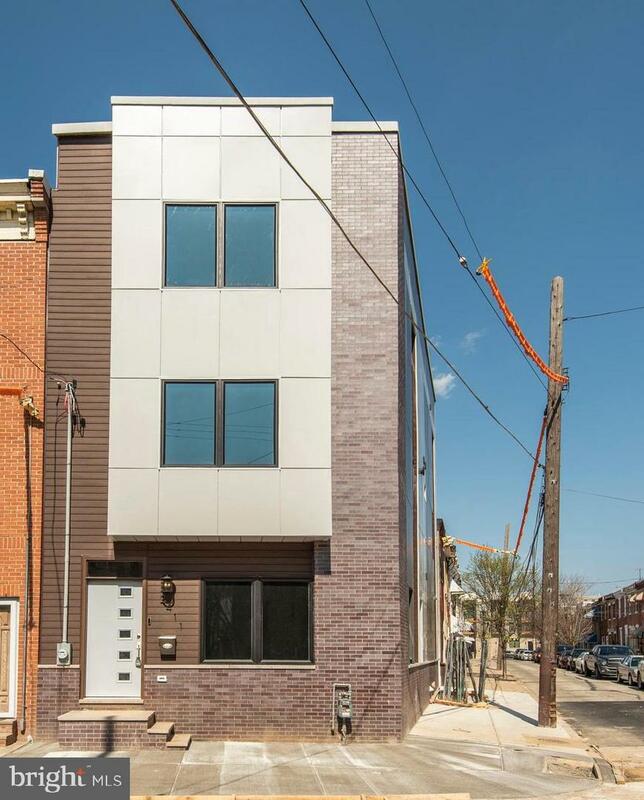 A 9 minute ride on the El to Center City.